Two weeks ago my husband, Bill, aka Papa/Bro and I decided we both wanted to try a new approach to losing some unwanted pounds. 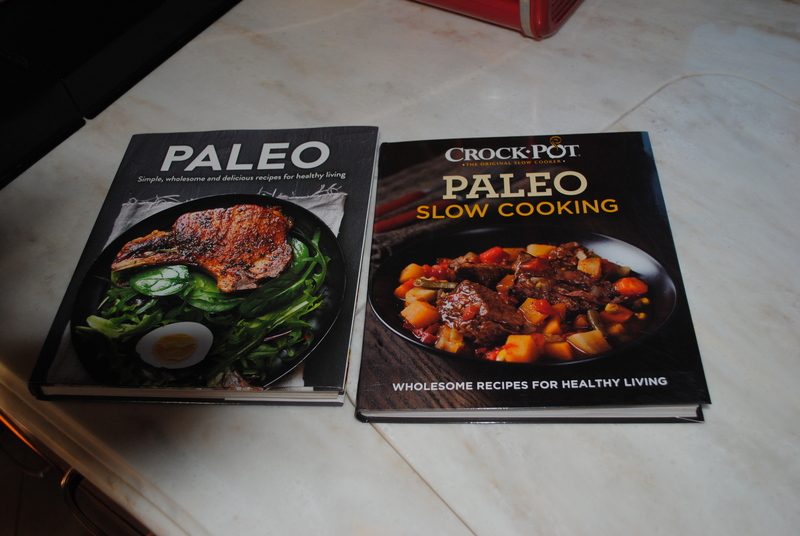 After a lot of on-line research, and a trip to a local bookstore, we decided to give the Paleo food plan a try. This food plan is all about eating whole foods. It is also known for being a food plan that can help reduce inflammation in the body, something both Bill/papa./bro and I are excited to try. The Paleo food plan is often called the “caveman” diet because it is based on whole foods that have not been processed in any way. 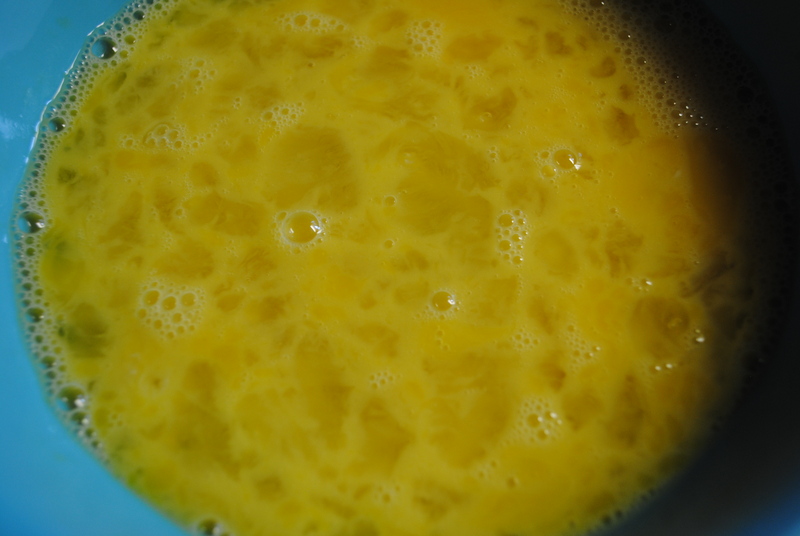 Fresh fruits, fresh vegetables, eggs, and grass-fed meats (when possible), i.e. beef, pork, bacon, chicken, and seafood. Bill/Papa/Bro and I read through all the information and decided we are both “all in” to give this new food plan our best shot. The first thing we did after making our total commitment to this new food plan was rid our home of anything that is not on the Paleo plan. No need to have temptation in our way right? This is week two for us and so far, so good. Bill lost 3 1/2 pounds and I lost 2 pounds. 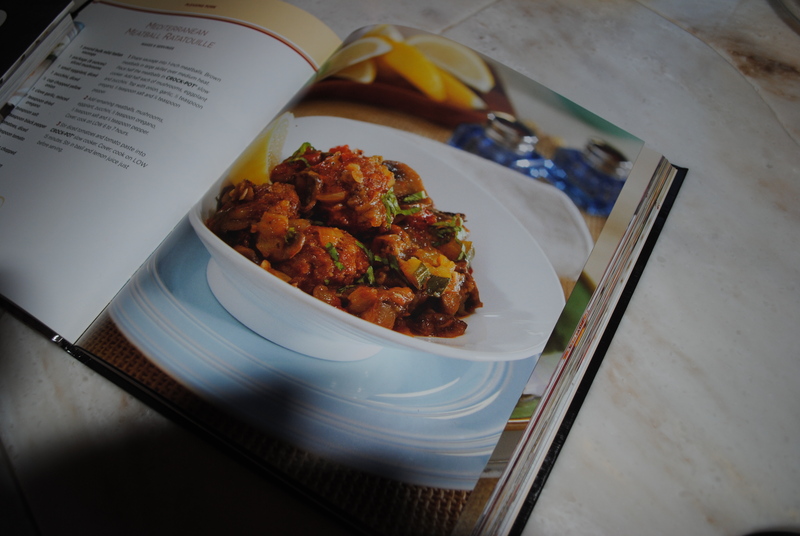 Everyday we try a new recipe from the Paleo books we bought. So far all of them have been very good and filling. Today, I made Mediterranean Meatball Ratatouille. 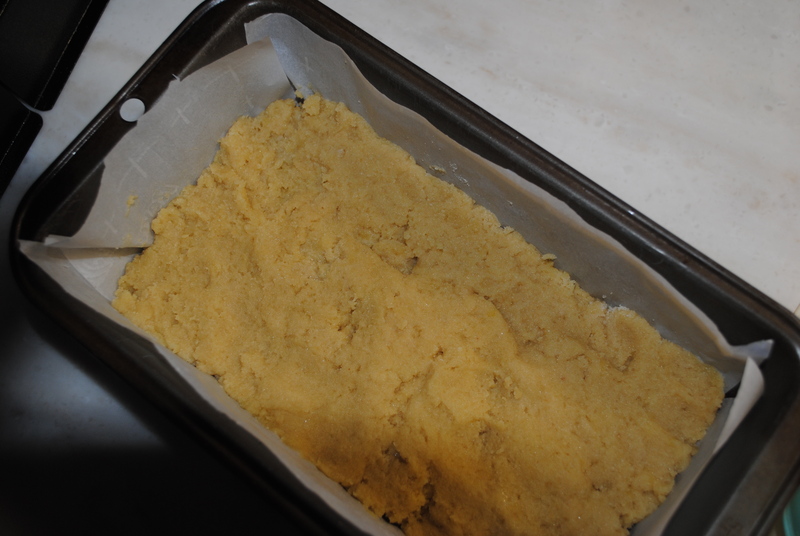 This is a picture from the recipe book showing what it is supposed to look like. 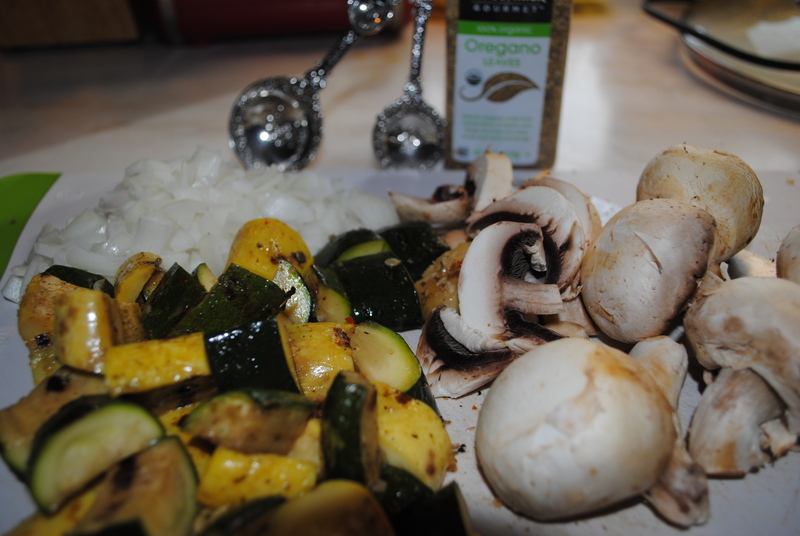 I started out chopping up some grilled zucchini (Bill grilled up a lot of fresh veggies for the week), and I added fresh mushrooms, and onions. I made meatballs out of ground Italian seasoned turkey, and browned them on all sides. 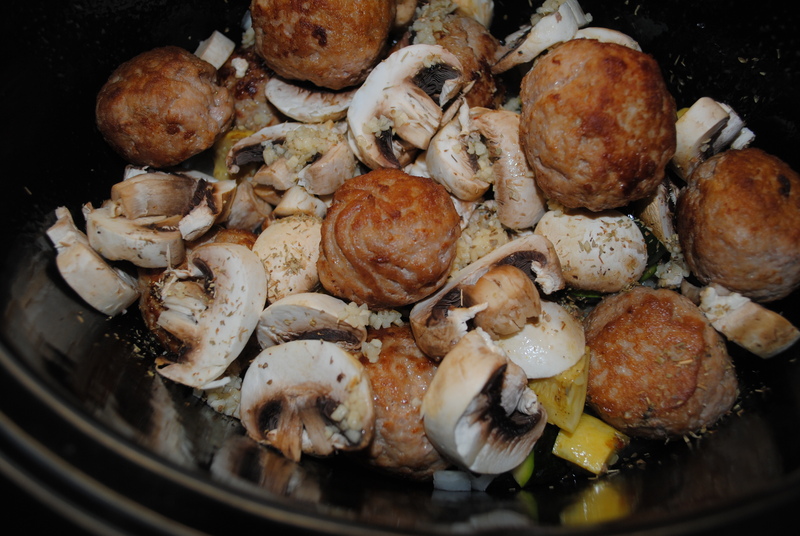 Then I put the meatballs in the crockpot with the zucchini, onions and mushrooms, spices, and just enough chicken stock to keep it moist and set the crockpot to low for 5-6 hours. At the end of the cooking time, I put a can of diced tomatoes and two tablespoons of tomato paste into the crockpot and continued cooking an additions 15 minutes. 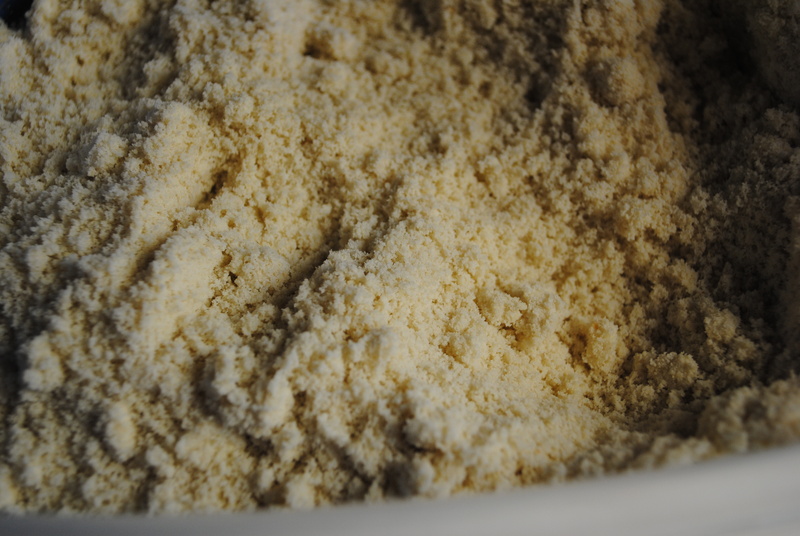 and combined them to make the bread dough. 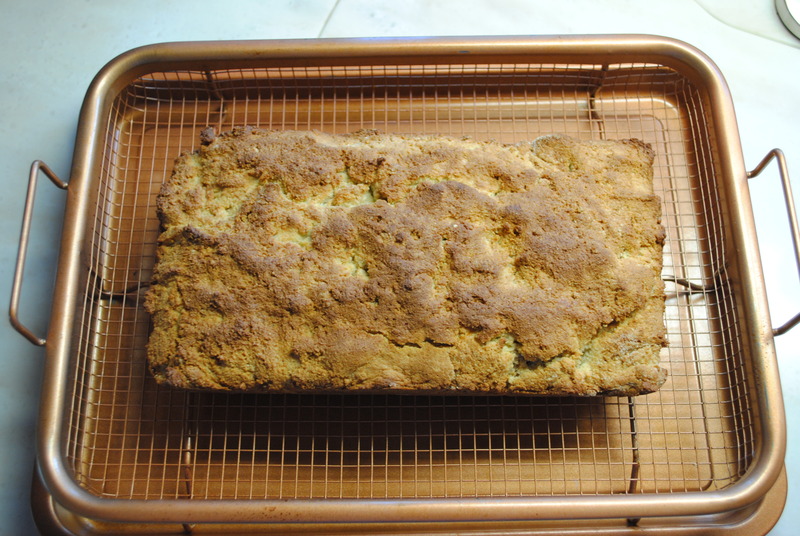 That was baked in our little outside oven at 300 degrees for 30 minutes, and produced this beautiful loaf of Paleo bread. that I stir fried in a non-stick skillet until it was tender but still a little firm. It was used to serve the ratatouille over. The end result was delicious and something both Bill/papa/bro and I agreed we would definitely want to have again. High protein and very low carbs but very tasty, filling and satisfying. 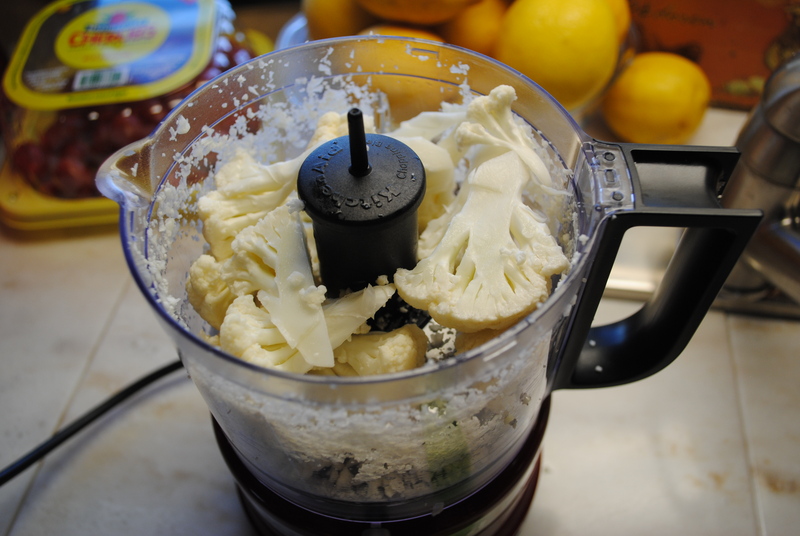 It takes thought, time, and planning to cook whole foods vrs eating out, or using processed foods, but Bill and I are committed to this, and so far it is working great. We are excited to keep trying new recipes and see where this takes us. WOW! I’m very interested. The bread looked excellent and the veggies looked delicious. Now can you have reg. 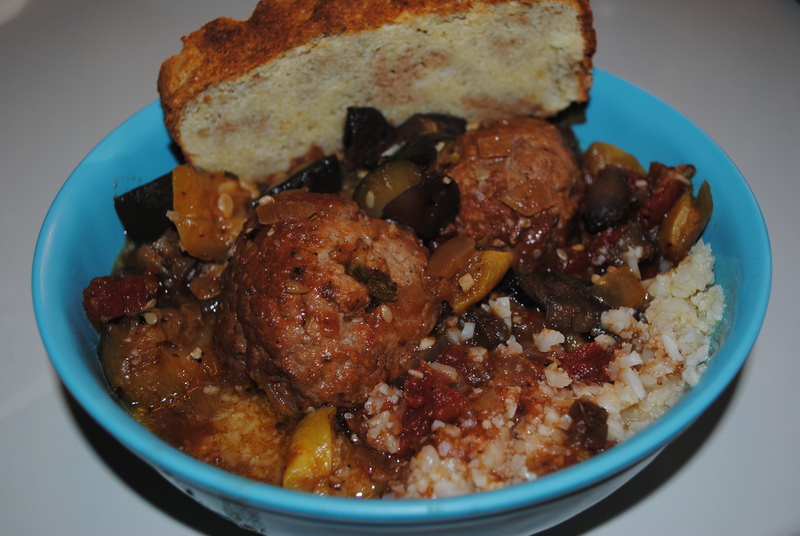 Italian seasoned meatballs with it… and just eat it like a meatball sub/paleo bread. You’re doing wonderful losing that much weight. 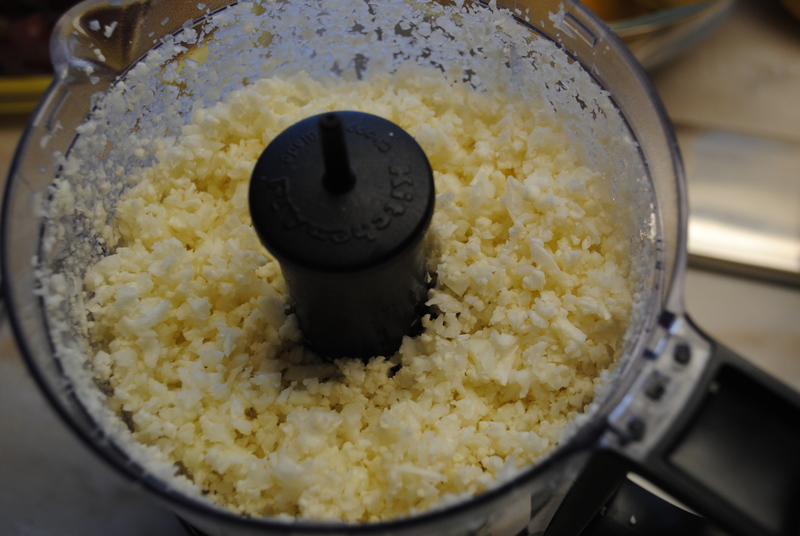 Keep us posted with recipes and so forth. The Paleo diet is pretty easy to stick with, once you get used to not eating all the carbs and legumes. By taking out all of the foods that you are not supposed to eat, makes your life easier because you do not have to question if you can eat it or not. The 3.5 lb. I lost in the first week is a good ,but if I lose 1-2 a week I’ll be happy. Love you Girly, thanks for all you do for me. I think your picture of the food looks better than the picture in the book. Way to go both of you. I couldn’t agree more with Holly about the images! Great! Can’t wait to hear more and how fortunate you are to have a partner willing to go on these “adventures” with you!! It so much easier when you are both in it together. Good luck and I’m sure we will see big changes when we get together in March! Love you both! !